If you are injured in a hospital, you will have to prove that a health care professional was negligent in their treatment of you and that you were injured as a result of that health care professional’s negligence. This is an overview of what you will need to prove in a medical malpractice lawsuit against a hospital, and the types of damages that you can reasonable expect to recover. The hospital owed you a duty of care. 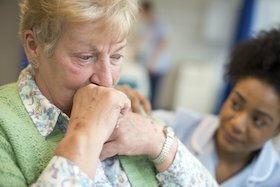 Hospitals are required to treat all patients regardless of their ability to pay. If you were medically treated at a hospital, then all of the hospital’s treating health care professionals owe you a duty of competent medical care up to the standards established by the medical care profession. The hospital usually will be liable for the acts of its staff and treating health care professionals. Conversely, if you choked on a piece of food and were injured at a dinner party where a physician who works at a hospital was a guest, that doctor and the hospital would not owe you a duty of care since the doctor was a guest and you were not at the dinner party to receive medical treatment. The hospital breached that duty of care to you. The duty of care refers to the medical standard of competence established by the medical care profession. The question is what a reasonable treating health care professional would have done in a similarly situation and whether the treatment you received met the established medical standard of care. An example would be if a nurse or physician made a prescription error or failed to diagnose your condition which led to an injury. Those mistakes could constitute medical negligence. As another example, if you go to a hospital for treatment and got an infection because the hospital’s facilities were unclean, you could have a case for a medical malpractice lawsuit. The hospital’s breach of their duty of care to you caused your injuries. This refers to whether the hospital’s treating health care professional’s conduct caused your injuries. Common situations of breaches of the medical standard of care include failure to diagnose, improperly performed procedures, an unclean environment, and prescription errors. For example, if you go to a hospital for an emergency surgery and a doctor improperly amputates an extremity or leaves a scalpel inside of you, then you probably have a case for a medical malpractice lawsuit. However, if you had a pre-existing condition, such as a heart condition that was not related to your treatment at the hospital, the hospital would probably not be liable for injuries related to your heart condition. An exception would be if your treating health care professional’s actions worsened your pre-existing condition unnecessarily. That your injuries are compensable. If you were injured because of a hospital health care professional’s negligence, you will have to sustain actual injuries for which you can be compensated. As an example, if your doctor improperly performed a surgery, but you recovered well and suffered no real loss, you would probably not have any compensable injuries. Conversely, if a hospital doctor improperly conducted a surgery and caused you to lose the full use of your arm that would not have otherwise have happened but for the doctor’s substandard medical care, then you would probably have a case for a medical malpractice lawsuit. Medical expenses. This includes the cost of your medical treatment and the cost of any future medical treatment attributable to the hospital’s negligence. Lost and future earnings. This refers to any lost wages, time off work, vacation and sick days, and any future loss of earning capacity caused by the hospital’s negligence. Pain and suffering. This refers to your monetary recovery for grief, anxiety and other emotional damages. Loss of use. This refers to damages for loss of use of an extremity or other part of your body or any physical limitations caused by the hospital’s negligence. Emotional distress. This refers to any emotional damages incurred as a result of negligence that can be attributed to the hospital’s negligence. Wrongful death. This refers to damages or a cause of action that can be sustained by a family member or a spouse if a hospital’s negligence results in the death of a spouse or a family member. Enhanced compensatory damages. Unlike many states, in most situations New Hampshire law does not allow for punitive damages – which are designed to not only compensate the victim but to punish the defendant. However, New Hampshire does provide for “enhanced compensatory damages” when the negligence was particularly severe. Seek medical attention right away and get treatment. It is important that you take care of yourself and get proper medical care. Make a list of witnesses who can attest to your substandard medical treatment. Document your injuries and expenses. For example, keep track of your medical bills, lost compensation, and any other expenses related to your treating health care professional’s negligence. If you are medically cleared by a competent treating physician and still feel pain or discomfort, get a second opinion. Keep a journal of how you feel each day, including your emotions, and any pain, discomfort or limitations that you experience as a result of your injuries. The death of a spouse or a family member through the action of another is one of the most stressful and traumatic events that can occur in a person’s life. Wrongful death statutes allow the representative of a deceased person (usually the decedent’s estate or a surviving spouse) to file a lawsuit against the party legally responsible for the death. If you have lost a loved one through the wrongful act of a third party, you have rights against the wrongdoer and could have a right to a substantial monetary recovery. This is an overview of how a wrongful death claim can be proven, and the damages you can reasonably expect in a successful case. A wrongful death claim is appropriate when there is either an intentional act or negligence of a third party that causes the victim’s death. That is, when a victim who would have otherwise had a personal injury claim is killed through the intentional act or negligence of a third party, a wrongful death claim is substituted for a personal injury claim. These are some examples of situations can give rise to a wrongful death claim. A victim dies as a result of medical malpractice. This refers to situations in which a treating health care professional provides substandard medical care, or fails to diagnose or takes other negligent action during the course of providing medical care to the decedent which caused their death. An example would be if a physician fails to properly administer medication in a timely manner which causes the death of their patient. A victim dies in an auto accident involving negligence. This would be any situation in which a vehicle driver’s negligence caused the death of the victim. An example would be if the driver of a vehicle runs a red light, hits a car, and kills the driver or passenger. A victim dies in an auto accident involving a drunk driver. If a drunk driver hits and kills a pedestrian or the driver of a vehicle, this could give rise to a wrongful death claim. This would be in addition to any criminal action, fines, and penalties. In order to be successful in a wrongful death claim, you will have to prove the same elements as you would have in a personal injury claim if the victim had lived. These are some examples of what a claimant would have to prove in a personal injury case. An intentional or reckless tort or act. This refers to a situation where a third party acts either with the intent to harm another or acts so recklessly that it is likely to harm another. An example would be if the wrongdoer throws a bomb into an office building intending to harm the owner of the building. A guest is in the office at the time and is injured or killed along with the owner. Even though the bomb thrower did not know that there was a guest in the building it is reasonably foreseeable that the owner of a building would have a guest now and again. Thus, the bomb thrower would be liable for any injuries to the owner of the building and the owner’s guest or their deaths. Medical malpractice. A successful medical malpractice claim can be proved with evidence that the treating health care professional was negligent in providing medical care to the victim and that negligence caused the decedent’s injuries. For example, if a doctor improperly treated a patient while the doctor was intoxicated and the patient died as a result of the improper treatment and would have otherwise have lived but for the inadequate medical care, then this would probably be a successful medical malpractice claim and wrongful death case. Auto accident involving negligence. This refers to a situation where the driver of a vehicle is negligent in the operation of a vehicle which causes an injury to another. An example would be if the driver of a vehicle is driving 30 miles over the speed limit, does not stop in time, rear ends another vehicle, and kills the driver or passenger. This would be the negligent operation of a motor vehicle and likely result in liability. Auto accident involving a drunk driver. This refers to any situation in which the driver of a vehicle has an illegal blood alcohol level, drives the vehicle anyway, and kills a third party. 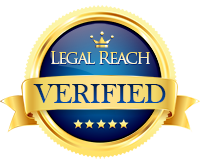 In this situation, the injured party or wrongful death claimant would likely have a strong wrongful death case. These are the types of damages which a wrongful death plaintiff can reasonably expect to recover in a wrongful death claim. Reasonable medical expenses and funeral expenses for the decedent. The compensation that the deceased would have earned or could have reasonably been expected to earn if the deceased had lived. This is based on actuarial tables and may require an expert to prove the decedent’s life expectancy and estimated earnings. Pain and suffering endured by the deceased before death. Unlike many states, in most situations New Hampshire law does not allow for punitive damages – which are designed to not only compensate the victim but to punish the defendant. However, New Hampshire does provide for “enhanced compensatory damages” when the negligence was particularly severe. For the surviving spouse, damages are available for the loss of care, comfort, companionship, and guidance of the deceased. For surviving children under the age of 18, damages are available for the loss of a familial relationship. Whether you win your Manchester car accident case depends on who is at fault or whether there was a condition or defect in the automobile that caused your injuries. The majority of car accidents are caused by one or more of the following. This is a summary of the ways in which another party besides you incurs liability in a Manchester car accident case. Examples are provided. The most common cause of car crashes is driver negligence. 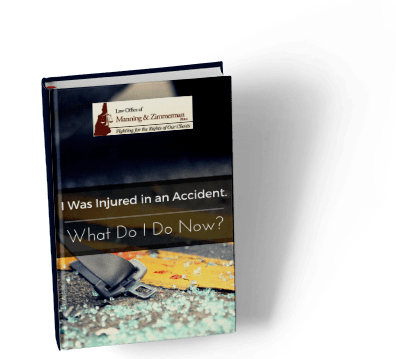 These are some examples of situations where a driver may or may not be found liable for injuries sustained by the plaintiff (you) in a car crash. Driver is impaired. This refers to situations when a driver is not capable or competent to operate a motor vehicle and does so anyway. Some examples are driving while intoxicated or under the influence of a prescription drug or falling asleep at the wheel. If a driver was under the influence or otherwise could not function while driving, and that condition led to the car accident which caused the plaintiff’s injuries, there is a very strong likelihood that the impaired driver will be liable for your injuries. In the case of driving while under the influence, civil liability would be in addition to any criminal fines and penalties. Driver fails to abide by the rules of the road. This refers to situations where a driver fails to observe traffic signals, speed laws, road conditions, pedestrian traffic, and other Rules of the Road. Examples would be running a red light, failing to turn on headlights at night, driving too fast in a residential area, and swerving in and out of traffic. In these instances, liability is likely going to be clear. If the driver’s failure to abide by the rules of the road caused the accident that led to your injuries, then the driver will be liable. Driver does not pay attention while driving. This refers to situations where a driver is inattentive to the road while driving. There are a variety of distractions for a driver on any given day. Examples include calling or texting, checking on children in the back seat, looking through a glove compartment, putting on make-up, changing the radio station, and reading while driving. If the driver of a vehicle fails to keep their eyes on the road and that failure causes an auto accident which leads to the plaintiff’s injuries, then the driver will probably be liable. Road conditions often play a part in a Manchester car accident case. In these situations, the fault is not always with the driver of a vehicle. Whether you have a claim depends on the circumstances of your case. For example, if a construction site around a curve is unsigned and poorly lit, you probably have a case. These are some examples of road conditions which could lead to auto accidents. If you are injured as a result of unsafe road conditions, you might not only have a claim against another driver, but also against a governmental agency or entity if they failed to keep the road safe for drivers. Defective or badly conditioned vehicles can be dangerous. If you are injured as a result of a defective or poorly maintained vehicle, you may have several defendants to choose from. The owner of the vehicle. If a vehicle owner improperly maintained their vehicle and that led to an accident, then the owner of the vehicle will be liable for your injuries. For example, if an owner of a vehicle knew they had improperly functioning brakes, neglected to repair those brakes, and did not stop in time which caused an accident, the driver will be liable for any injuries that you incur. A mechanic or auto body repair shop. If you have your car repaired and maintained regularly, and get into a crash as a result of a mechanic’s failure to properly repair or maintain a vehicle, that mechanic or repair person could be liable for damages incurred by you and the driver of the other vehicle. Defective product. This refers to situations where the vehicle was defective when it was delivered from the factory. Some examples are improperly deploying air bags, faulty brakes or steering systems, or improperly affixed tires. If any such defects existed in either your car or the other driver’s car and contributed to a Manchester car accident case, you could have a claim against the company that produced either the vehicle or the part of the vehicle that did not function properly. If these conditions existed in the other driver’s car, then you could have a claim against the other driver as well. If you are injured as a result of your car not functioning properly, it is important that you have your vehicle inspected immediately afterwards to determine what caused the accident. If you are injured as a result of the other driver’s vehicle not functioning properly, it is essential that you take steps to ensure that their vehicle is promptly inspected to determine what condition caused the accident. If you have been injured through no fault of your own, contact a Manchester car accident case attorney at the Law Office of Manning & Zimmerman, PLLC at (603) 624-7200.